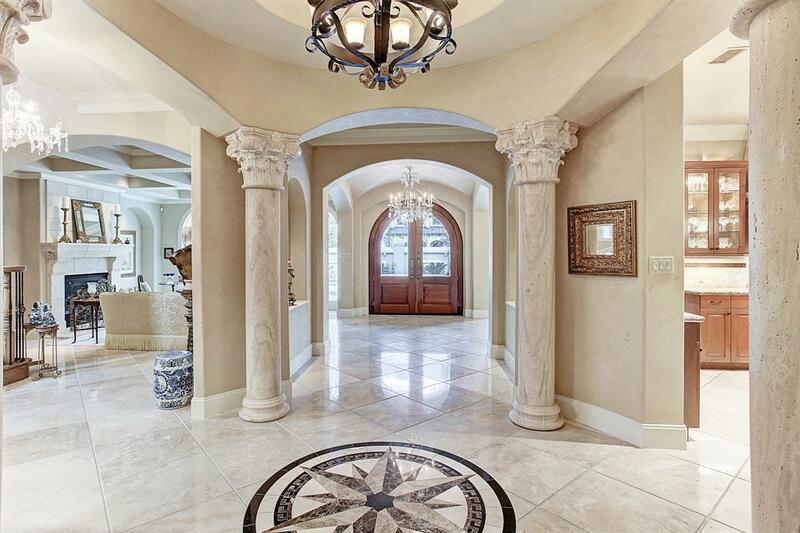 Beautifully maintained Mediterranean style home with resplendent architectural details. Elevator access to all three floors. 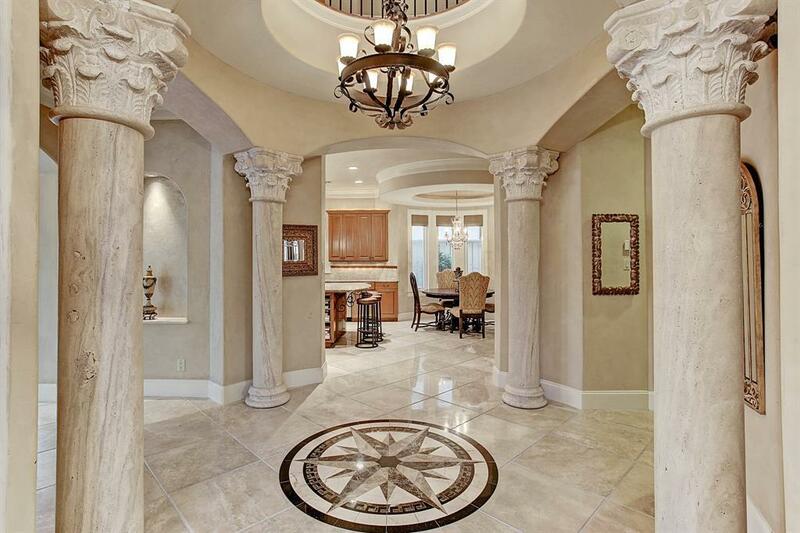 Open layout on 1st floor offers expansive formal living and dining, kitchen opens to breakfast and family room areas. All bedrooms and study on 2nd floor. Extensive master bedroom with seating area, and a balcony that overlooks the picturesque pool area. Large walk-in closet with built-ins. 3rd floor flex space offers many possibilities. No flooding during Harvey.